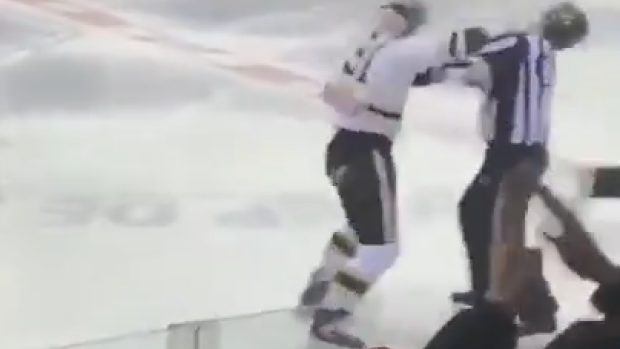 Hockey fights can be quite vicious in nature, but this one went to another level. Lacroix got the best of Poulin, which caused his rival to lose his balance. Poulin fell down onto the ice but showed no signs of giving up on the fight, so when he stood back up, he accidentally grabbed a ref thinking it was the other player and laid down two vicious shots that put that ref on the ice. Anybody watching the video can see Poulin didn’t do it on purpose, but he’ll still face repercussions from his actions.